One of the most important parts about applying make up is the way in which you apply it. 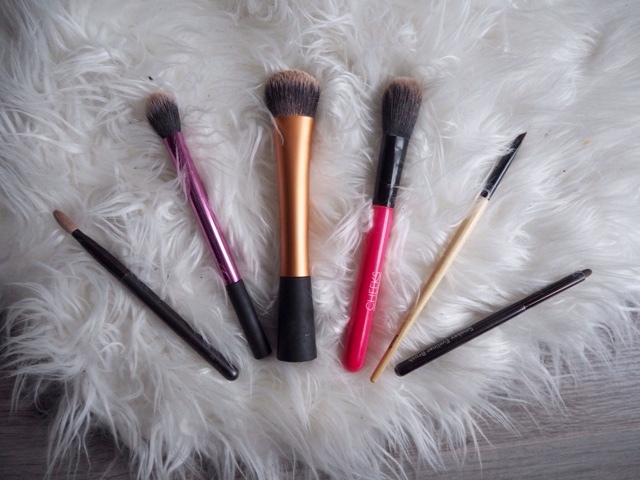 Here are my six, everyday, go-to make up brushes that I couldn't live without. 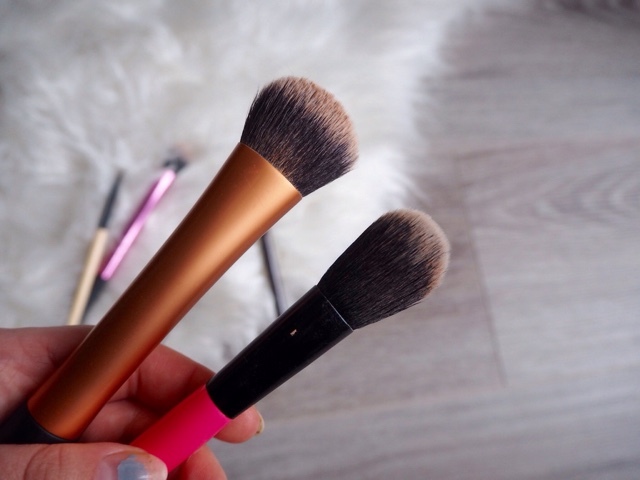 I like to use this brush to apply my foundation and base products. I find that it acts as a bit of a buffer which when used in a circular motion, ensures that my foundation is applied evenly and fully blended on to my skin. It is a really affordable range and it has a nice chunky handle that makes it easy to use, with a wide head, that makes it easy to blend. I find this brush great to apply powder with. I think that it is perhaps designed to apply blusher on the apples of the cheeks, however, because of its size, I think that is a great brush to apply setting powder with. It can evenly disperse the powder, yet still get into all of this smaller parts of the face such as around the nose and eye area. I love to use this brush to blend my concealer. I usually apply my concealer as and where I need it, and then use this brush to blend it in to the rest of my make up. I find that it creates a more natural finish as it is really soft and so, very gently blends my make up. I use Benefit's Brow-Zings eyebrow pallet everyday, which consists of a wax and a powder for the brows. I use this hard angle definer brush to apply this product on to my eyebrows. It is quite firm in retaining its shape which ensures that it remains a very precise brush which is key when applying make up to such a small area of the face. I find that this is the best brush I have ever used to apply eyeshadow. It is extremely soft and so not at all scratchy on the very sensitive eyelid area. 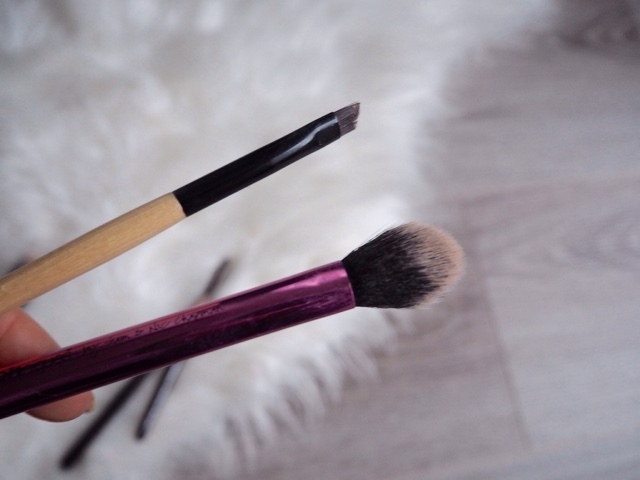 It is a great brush to really blend and build eye shadow colour and I use it every single day to apply my eyeshadow. On a day-to-day basis I like to apply a coal liner above and below my lash line on my top and bottom lashes. 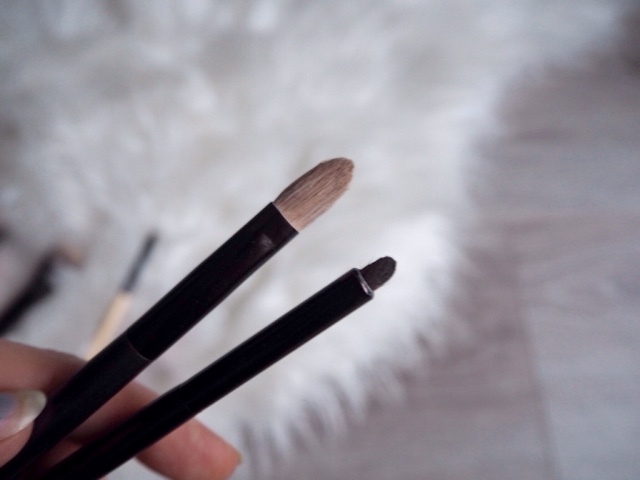 However, I find that a thick line can become a bit too hash and so I like to use this brush to soften the liner lines and create a more natural look. 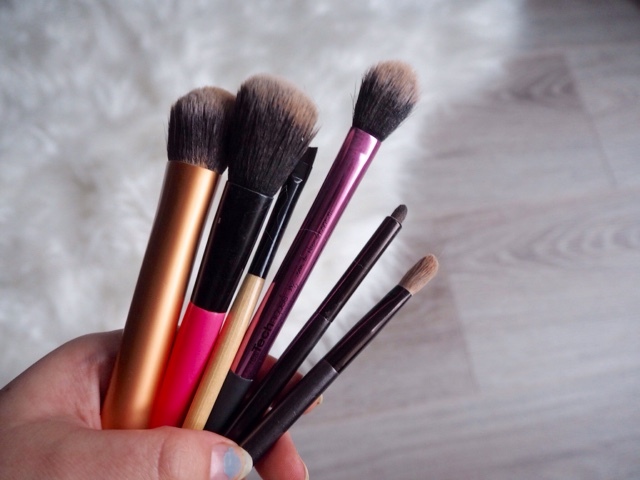 What are your favourite everyday brushes?